A Brand New Genuine Peugeot 106 FUEL FILTER. This part will fit all Peugeot 106 models with this type of fuel filter fitted from 1991-1996. including XSi, XR, XS, XT & Rallye. 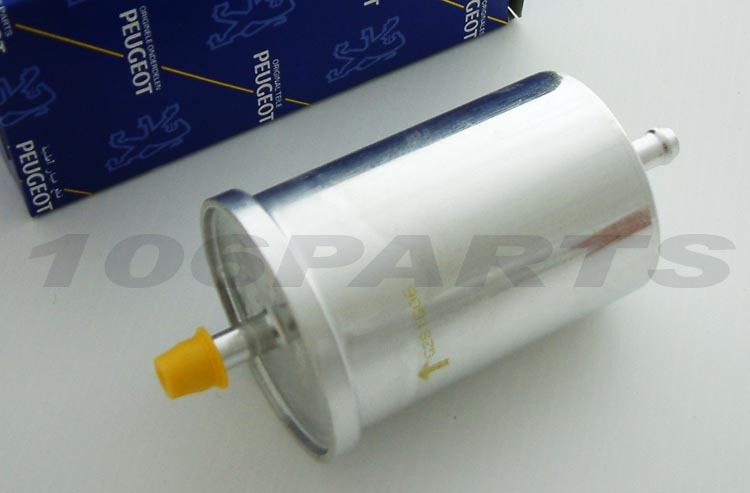 Part Description: A Brand New Genuine Peugeot 106 FUEL FILTER. This part will fit all Peugeot 106 models with this type of fuel filter fitted from 1991-1996. including XSi, XR, XS, XT & Rallye. Stocked Item, despatched within 48 hrs from our UK warehouse.